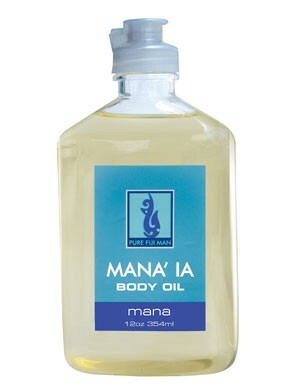 Discover the Mana'ia secret for terrific looking skin! From the Pure Fiji Mana'Ia Mens line. Discover the Mana'ia secret for terrific looking skin! This ancient blend of cold pressed coconut and drift-nut oils does it all - Reviving, hydrating and nourishing your skin - while it repairs and fortifies against further damage.